The Triplett-Van Doren No-Tillage Experimental Plots were established in 1962 and are the longest continually maintained no-till research plots in the world. 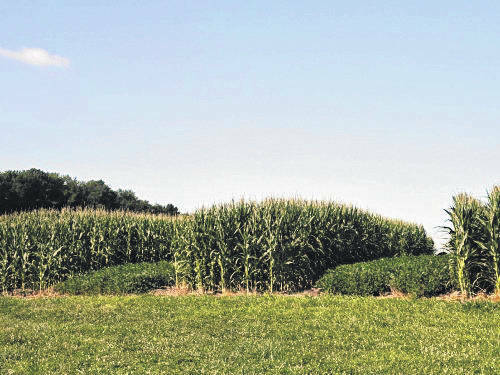 WOOSTER, Ohio — A field day scheduled for Aug. 29 will look at the old and the new in tillage practices. The Ohio No-Till Field Day will feature panelists with a combined 250 years of no-till experience, as well as a tour of the historic Triplett-Van Doren No-Tillage Experimental Plots. It will also include updates on recent research regarding cover crops, soil health, and more. The event takes place on the Wooster campus of the College of Food, Agricultural, and Environmental Sciences at The Ohio State University. The Triplett-Van Doren plots, established in 1962, are known as the longest continually maintained no-till research plots in the world. “Long-term research plots are incredibly important because soil can take longer than three to five years to respond to management practices,” while most research projects are supported by just three- to five-year grants, said Steve Culman, assistant professor of soil fertility for the School of Environment and Natural Resources in CFAES. “These plots have shown the positive effects that minimizing disturbance can have on soils. They have paved the way for conservation efforts targeted to reduce disturbance for better soil health and soil management,” he said. Culman will be speaking about grain yields during the field day, while Glover Triplett, co-founder of the historic no-till plots, will be among the panelists. Other panelists will include Bill Richards, no-till farmer and former chief, U.S. Department of Agriculture, Natural Resources Conservation Service; Don Myers, retired from Ohio State University Extension, CFAES’s outreach arm; Bill Haddad, NewDay AG Consulting; and Dave Brandt, no-till farmer and owner of Walnut Creek Seeds. The event is sponsored by the Ohio No-Till Council and is $65. To register, visit go.osu.edu/CX7Q. For more information, visit go.osu.edu/CX7S. Sessions will be held at Fisher Auditorium, 1680 Madison Ave., in Wooster.